Departing from its commercial trade roots, most boating in Haarlem today is recreational. In addition to personal vessels like this one, tour boats navigate the river and canal system to reach the nearby tulip fields. 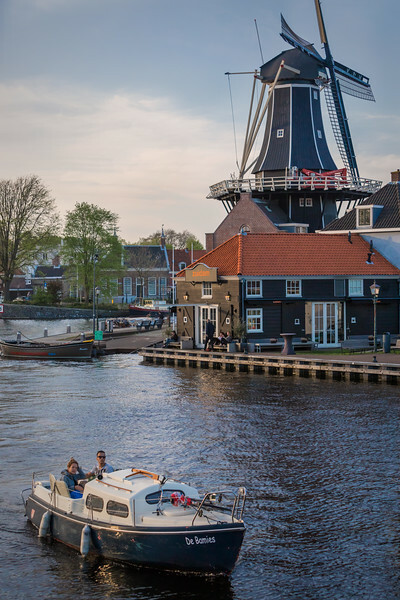 The Molen de Adriaan, a quintessential Dutch landmark stands along the winding river.